Point the RV north from Edmonton, Alberta, along the Mackenzie Highway and enjoy a scenic remote trip to Yellowknife, Northwest Territories (NWT). Over 1,500 kilometres and almost 17 hours of driving puts you in the land of the midnight sun. By the summer solstice (June 21), there are almost 20 hours of daylight and no real night. While gas stations and food stores can be found along the route, RVers should stock up on supplies as there are long stretches between towns. Be sure to refuel in Fort Providence, NWT. From there Yellowknife is also just over 300 kilometres, the longest section of highway with no services. While in Fort Providence, locate the first North West Company trading post in the region, built in the early 1800s. You may want to wander through the old Catholic church. On the northwest tip of Great Slave Lake, about 230 kilometres up the road from Fort Providence, is Behchoko. It is home to one of the oldest churches in the Northwest Territories. From this town it's only another hour to Yellowknife. 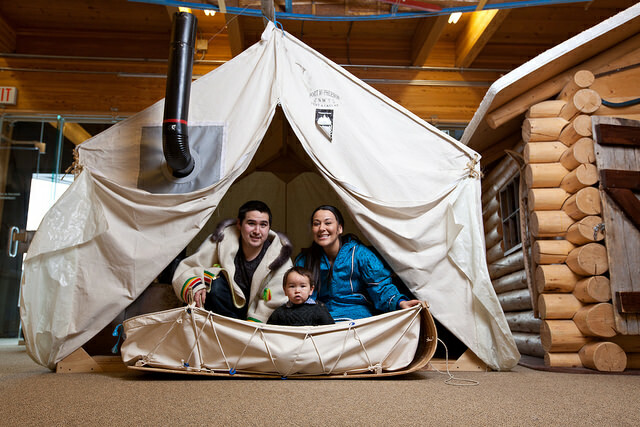 Once in Yellowknife, expect to be busy exploring the territory's history and culture. 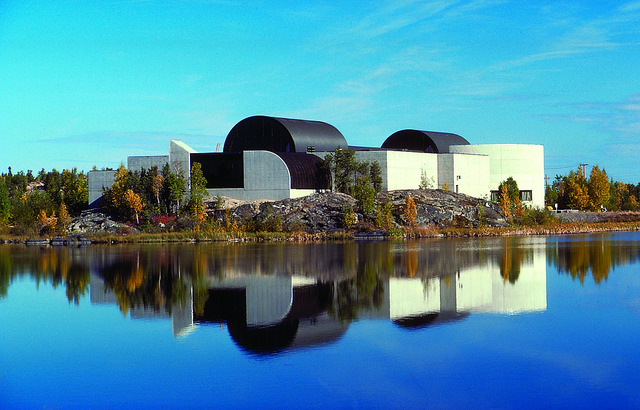 The Prince of Wales Northern Heritage Centre (PWNHC) is the museum, archive and cultural centre for the Northwest Territories. It houses over 65,000 items ranging from clothing and historical artifacts to archeological fossils. 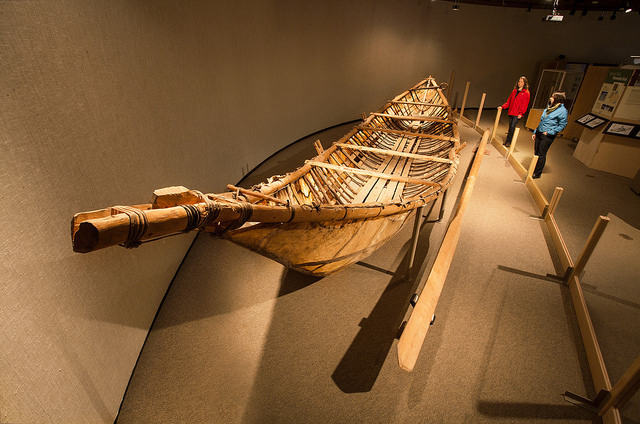 The PWNHC is also home to 150,000 artifacts from Nunavat in the eastern Arctic. The North and South Galleries each house five large dioramas depicting the animals, landscape, people and history of the NWT. 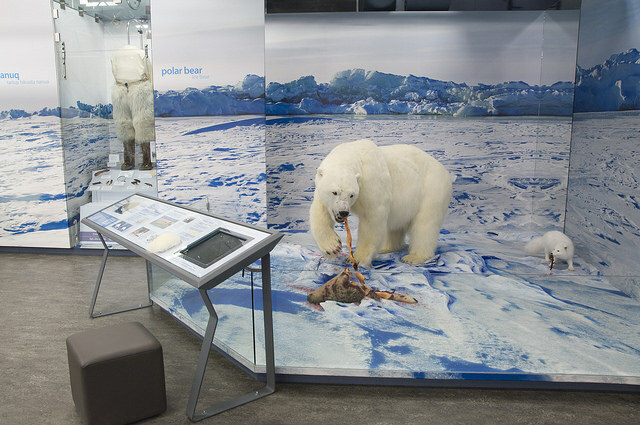 You'll see full-size 3-D replicas of polar bears, a beluga whale, moose and muskrats, along with clothing and products made from these animals. It's a “blend of cultural and natural history,” said Sarah Carr-Locke, acting director of PWNHC. In the Aviation Gallery inspect a fully reconstructed DeHavilland Fox Moth airplane. 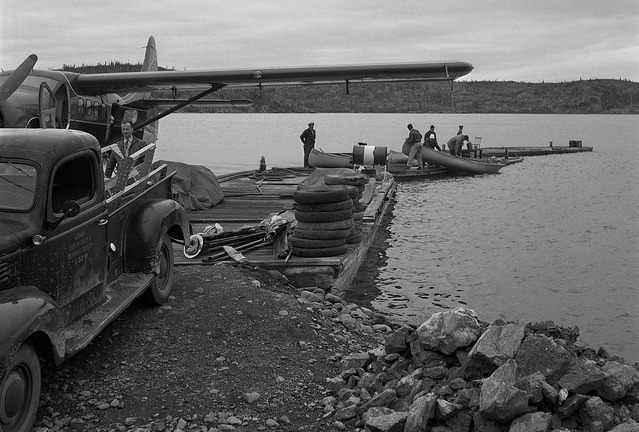 It was the first plane used for travelling in the North. “Flight is very important to the NWT because we have so many remote communities up here,” said Carr-Locke. The Fox Moth is the airplane used by Max Ward to start his business, Wardair airlines, in 1946. This summer at the PWNHC gaze on a photography exhibition of Fran Hurcomb's 40 years of documenting life in Yellowknife. As well, Inuvialuit artist Abraham Anghik Ruben has a display of large stone sculptures inspired by Inuit and Viking symbolism from the eastern Arctic. The Ice Age Bison Exhibit proudly displays a 13,650-year-old steppe bison skull found in Tsiigehtchic, NWT, in 2007. 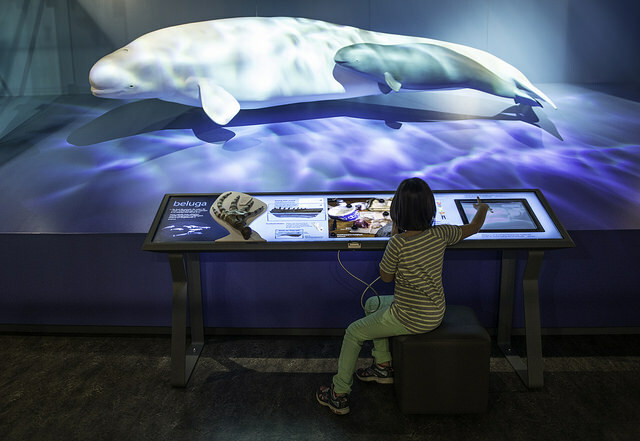 This exciting exhibit uses ice age fossils to explore and show the changing landscape of the NWT. The museum cafe is a great place to stop for lunch. It is open Monday to Friday from 11 a.m. to 3 p.m. 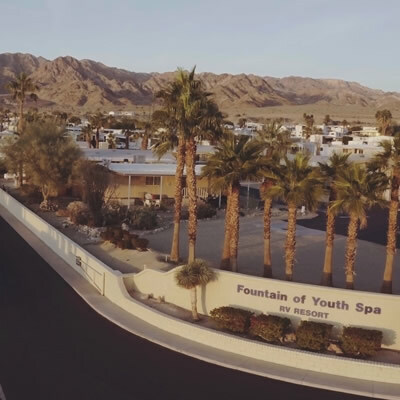 The museum itself is open from 10:30 a.m. to 5 p.m.
After spending time at the PWNHC, be sure to check out Old Town. According to Tracy Therrien, director of the Northern Frontier Visitor Centre, there is a walking tour around Old Town that reveals the history, first families, old buildings and development of Yellowknife. She said the Wild Cat Cafe and the Weaver and Devour store, now a bistro called Bullocks, are popular with visitors. The walking tour app from www.yellowknifesoundwalk.ca adds another dimension to travelling around Old Town. You can also pick up a free bicycle at the visitor centre, making touring around town a bit easier. You can also obtain the Guide to Yellowknife Mining Heritage that marks the locations of old mines and mining equipment. Get loads of information and touring details at www.visityellowknife.com. 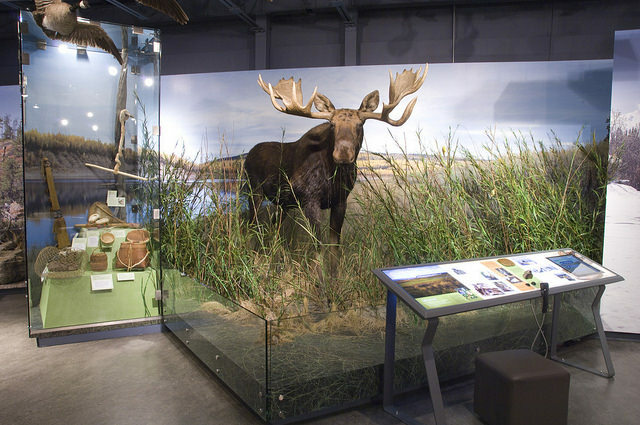 From aboriginal heritage, old buildings and historical sites to Arctic fossils, you'll experience the history of the Canadian North when visiting the Northwest Territories.